Gail Stilwell Maids founded the maid service industry in Louisiana. Gail Stilwell Maids Northlake, LLC serves Mandeville, Covington, Slidell, Hammond, Louisiana, and all the surrounding communities. We have earned our excellent reputation by focusing on the areas we know to be most important: customer satisfaction delivered by qualified, professional housekeepers. The housecleaning experts offer high quality, trust, professionalism and attentiveness to every home they clean and your satisfaction is guaranteed. Our experienced office staff will assist you in customizing your housecleaning bookings to fit your specific needs and budget, offering you flexibility and options to choose from. 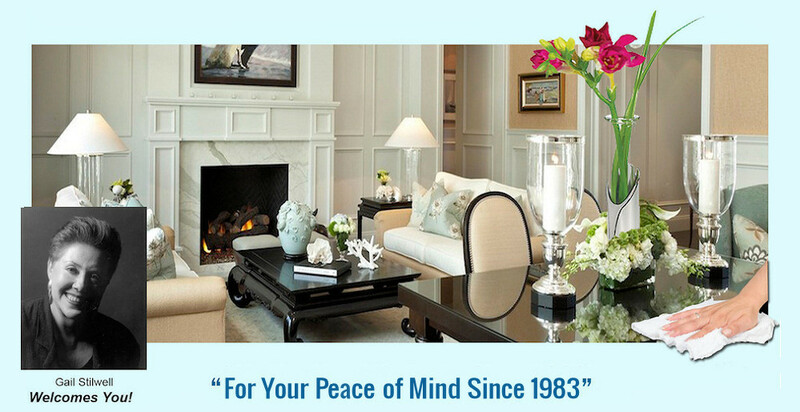 Whether you need service weekly, bi-weekly, one time or occasionally, or a Move In/Move Out cleaning, it's time to discover the peace of mind you'll experience with Gail Stilwell Maids, at affordable rates, with discounts for regularly scheduled clients. For your trust and confidence, the detailed screening process includes thorough reference checks and several background checks, updated twice a year, on all maids. We think you'll be very pleased with the quality of the housekeepers. For your protection, all house keepers are covered by Workers' Compensation insurance. We're better than a maid service! Gail Stilwell Maids, refers a wide range of household services to homeowners, renters, realtors and property managers. Welcome to Gail Stilwell Maids! Gail Stilwell Maids Northlake, LLC. Check us out with the Better Business Bureau! Gail Stilwell Maids is accredited with the BBB and committed to ethical business practices. We're proud to say we've been given The Award of Excellence by the Better Business Bureau! "Your sanity is worth the money. I am a stay at home wife with 3 kids and one on the way. Gail Stilwell Maids, was more than happy to help. They care about what I want and I get exactly what I pay for." "Gail Stilwell Maids, did a wonderful job, which started with great communication of the services involved. The maid was punctual and professional and made the house essentially new." "Over the years we have used several of their maids, all of them have performed well, stay on task and were great with our puppies. I would definitely recommend the service to anyone." ©Copyright 1996-2019, Gail Stilwell Maids. All rights reserved. Information subject to change without notice.